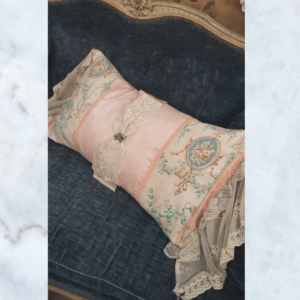 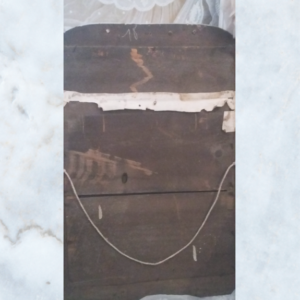 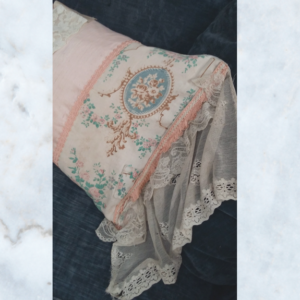 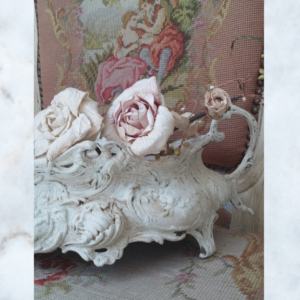 A carefully chosen selection of beautiful Antique & Vintage items to decorate your home. 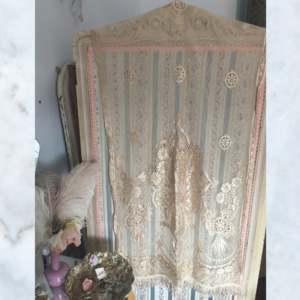 From soft furnishings to religious figures & decorative panels. 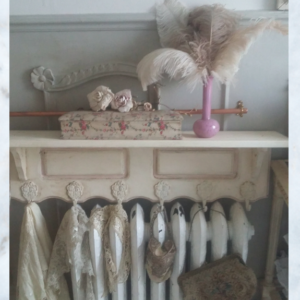 We also have our lovely Lola Pearl Vintage items & Jeanne d’Arc Living range. 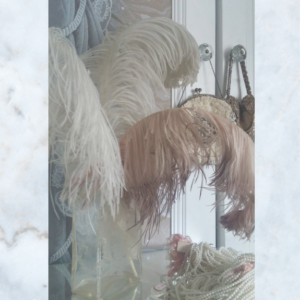 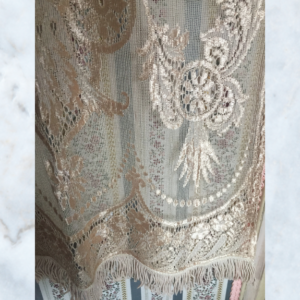 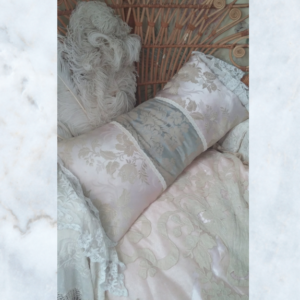 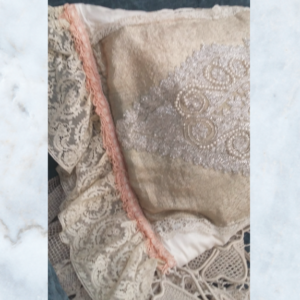 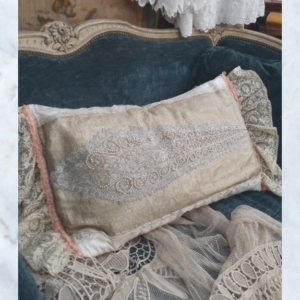 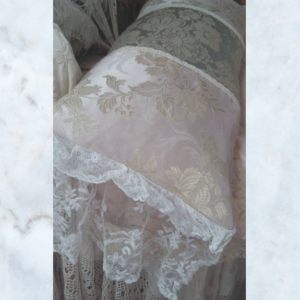 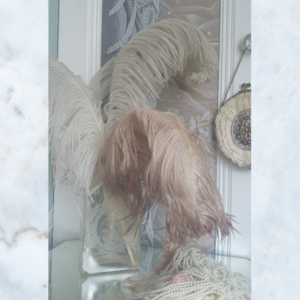 1920s ostrich feathers in beautiful faded pale pinks & whites. 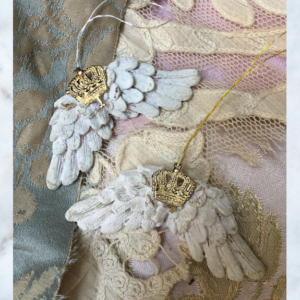 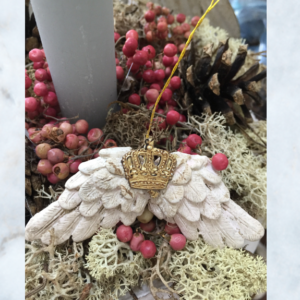 Christmas angel wings in antique white & an antique gold dresden crown. 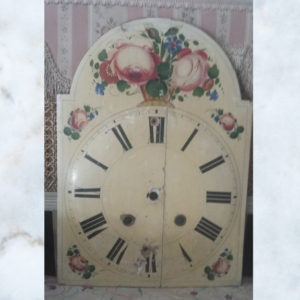 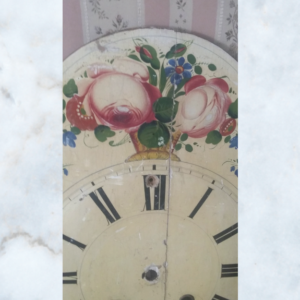 Antique would painted floral clock face, cream with handprinted roses & flowers. 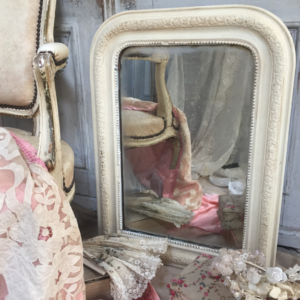 Beautiful time worn french louis mirror with original foxed glass mirror , grey & finished with antique wax. 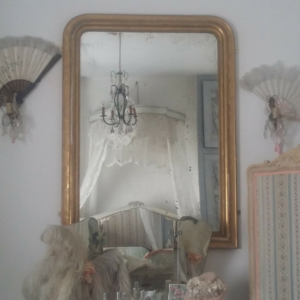 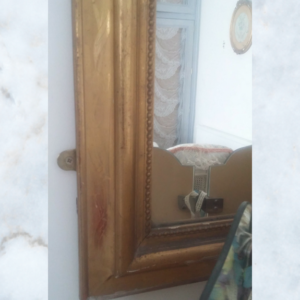 Antique French louis mirror, with original mercury glass & beautiful gold patina. 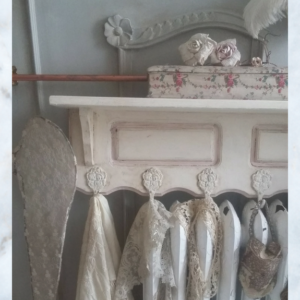 Antique solid oak French shelves with metal coat hooks. 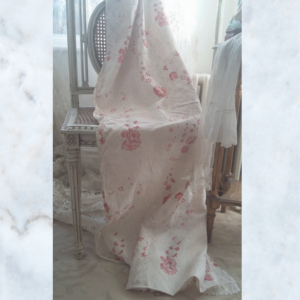 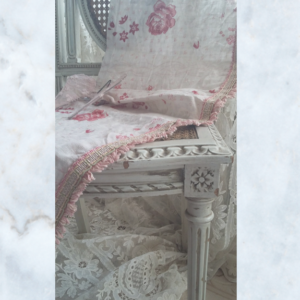 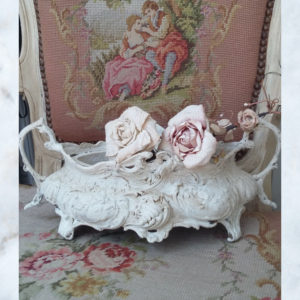 Lots of carving & decorative detail painted cream, dusky pink & finished with antique wax.